Carlsbad Food Tours - San Diego Dining Dish! 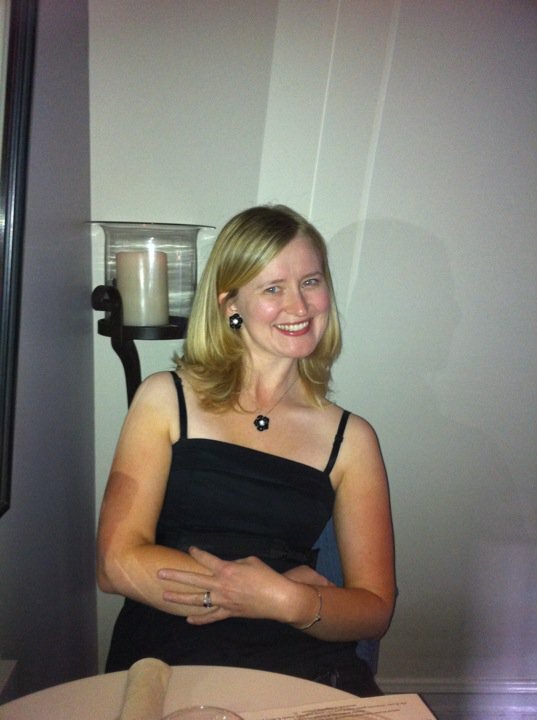 I've chatted lots on this blog about various "Taste of" events. These tours are self-guided, giving you the option to have a lot of food from a lot of places. I love them, but some find them overwhelming and rushed. I participated in a Carlsbad Food Tour this past Sunday, which is a much more slowed down version of a food tour. These tours are guided, with scheduled stops and lots of information about Carlsbad and its history. 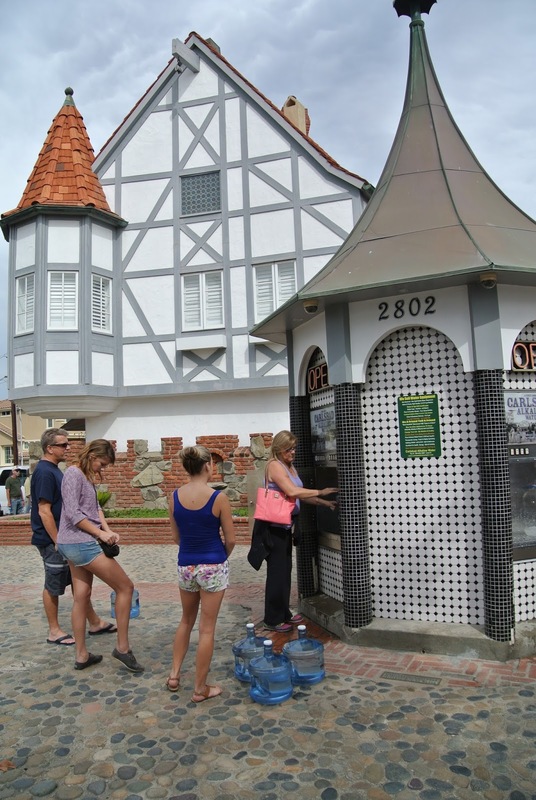 If you are looking to learn more about this gorgeous community and its restaurants, as well as some of the historic landmarks, this tour is highly recommended! 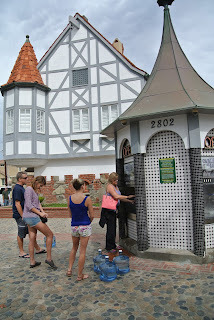 The tour meets in the center of the village, by a central fountain. The first stop is to get some Italian food at Caldo Pomodoro! For this, we received a tasting of their cheesy, garlicky bread with marinara, and their roasted artichoke heart appetizer to split. The bread was delicious, with a healthy dose of everything that makes garlic bread good! The artichokes were a nice change as well from the usual appetizers offered from Italian restaurants. The next stop wasn't so much a restaurant, as a flavor experience. I've chatted about how much I love Vom Fass and their amazing olive oils, and how much I love using gourmet olive oils and vinegars for salads. Another great shop is right in Carlsbad, Humble Olive Oils. 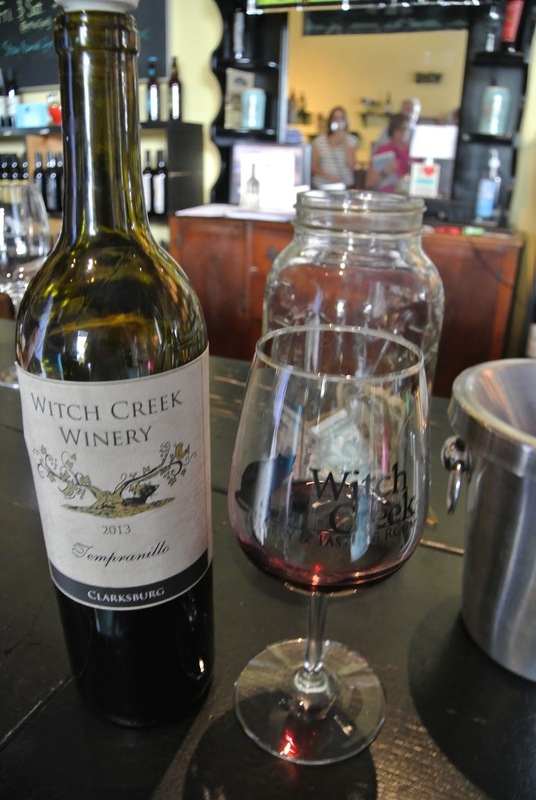 For this stop, we sampled as many delicious vinegars and olive oils as we liked! My favorite? Blackberry ginger. 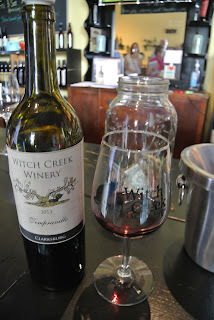 The next stop was one of my favorites, Witch Creek Winery, for a small wine tasting. I've spoken at length about their wines on this blog, so I won't go into them again, but we also go to admire this beautiful mural with an explanation of the murals in Carlsbad. Did you know that Carlsbad water is famous? Neither did I, but the alkaline in the water is very, very healthy, and can be purchased via tap from this street center! The next stop was for some more Italian grub at Gregorio's, a quaint bistro in the Village Faire. Eggplant sliders were devoured here! They were so, so good. I wish that I had one right now. Sub Zero Ice Cream was a feast for the eyes as well as the belly. The ice cream is a new concept -- freshly made to order using hand mixing at freezing temperatures. Novel, and delightful to try! Senor Grubby's hosted our next stop, with a pork loin taco for tasting. Senor Grubby's has been in the area for a long time, and makes substantial contributions to the community. The tour wound up at Carlsbad Chocolate Bar for a salted caramel truffle! I really enjoyed a slowed down version of a Taste of tour. In fact, I'm recommending it to my in-laws next time they come to visit! Hey Gwen! Thought I was going to meet you Saturday! Looks like the Sunday tour has a few different spots than ours. Senor Grubby's and ice cream sound like good stops for this tour. I loved the murals around town too. It's a bit of a drive from where I am, but if I'm in that area I would definitely want to try out the Humble Olive Oils. Great and local olive oil is nice but hard to find. The closest one I know of is Temecula thus far! Yeah, I was hoping to meet up too! I'm sure there's a meet up in our future! Soon! Anna, there's a Temecula Olive Oil Co in Old Town. There's also Vom Fass in Hillcrest, which is amazing too! It's good to have another option though!